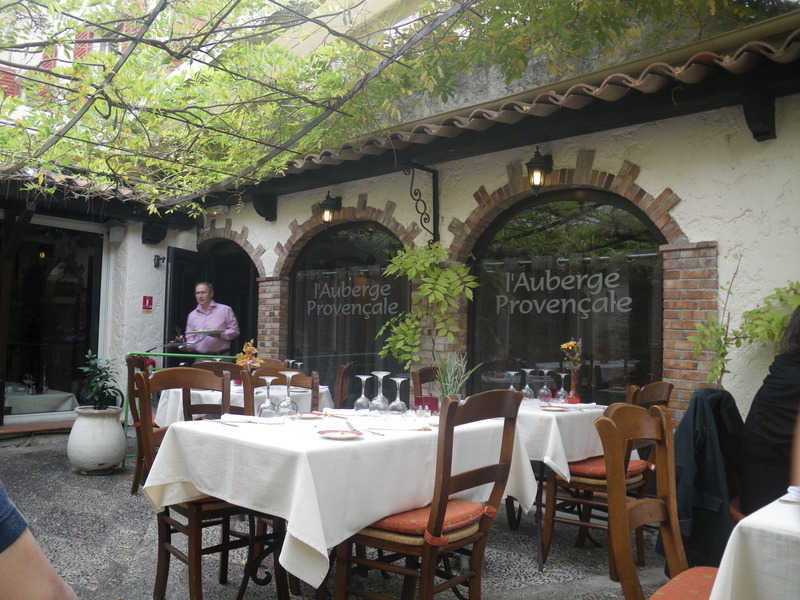 ** I was in Antibes, France on Week 47, 2011 and was so excited to head back to this restaurnat. Sadly, when I got there, the restaurant was closed. It looked like it was all cleared out and preparing for some sort of renovation. I hope it is the restaurant doing some upgrading work and will be back for business… and is not because it was closing down. Will update again when I go there next time. 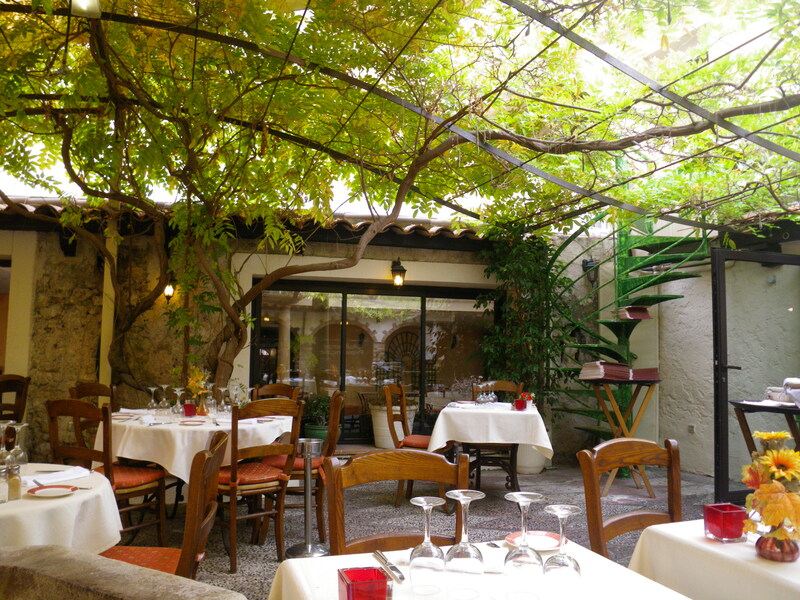 Had a sudden attack of nostalgia of this quaint restaurant hubs and I went during our pre-honeymoon in Antibes, France. It is by far the MOST romantic restaurant I have been too. 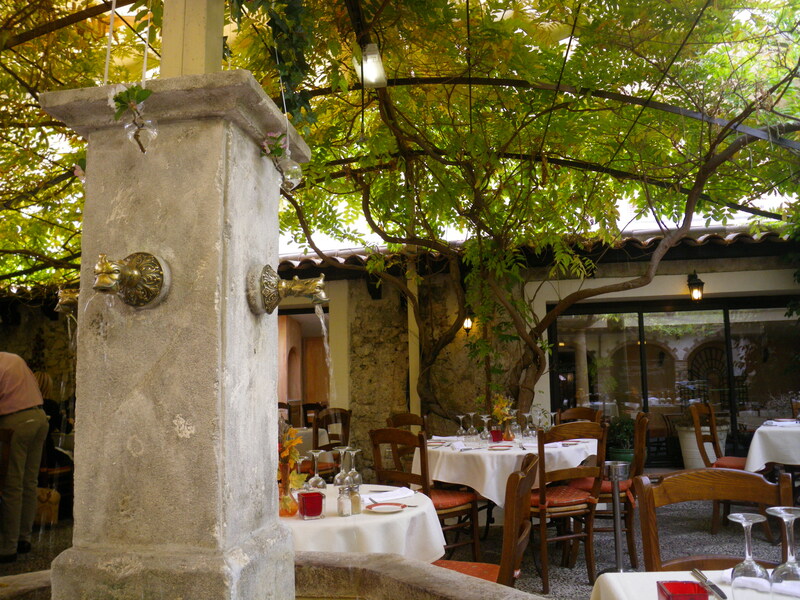 It is not the posh classy romantic type but, sort of the rustic, old school charm with the Mediterranean feel kind. Look at the beautiful settings. The green foliage above. Open air. Isn’t this Romantic? The food here is pretty good too. We ordered their Menu (a set thingy) which comes with the starter, main and dessert. Bouillabaisse – sort of fish stew. Dunk in the toasted pieces of bread and a hot peppery sauce called rouille. Sprinkle the cheese in. Yummmmmilicious. My favourite. 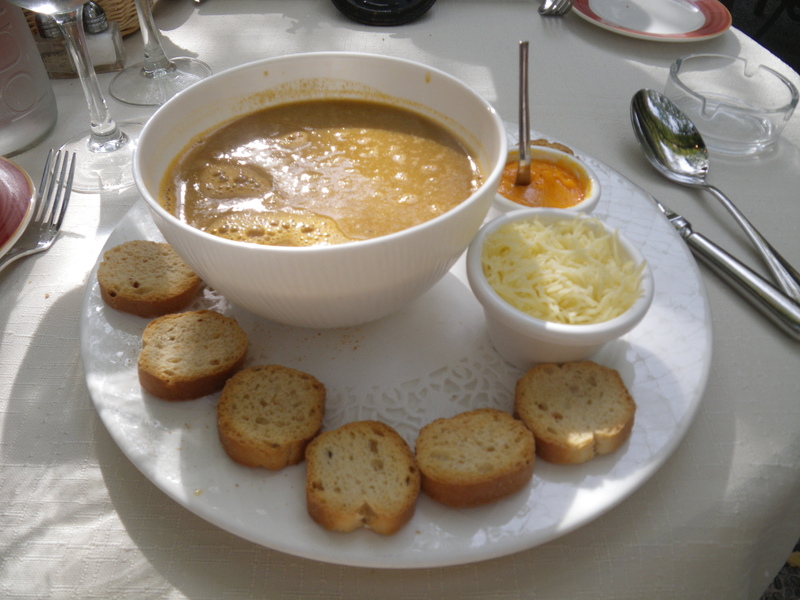 I always have Bouillabaisse whenever I go to Antibes. 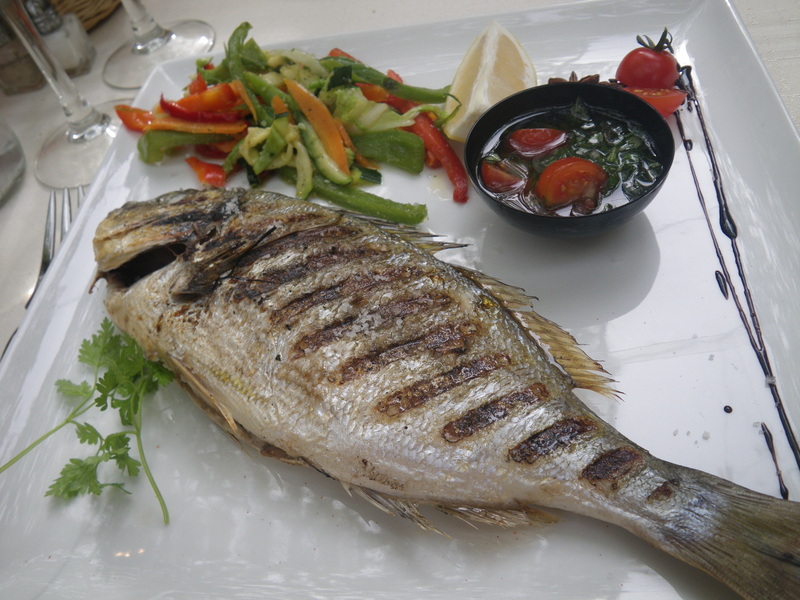 Grill Dorade – Amazingly juicy. Not overdone. Thumbs up ! 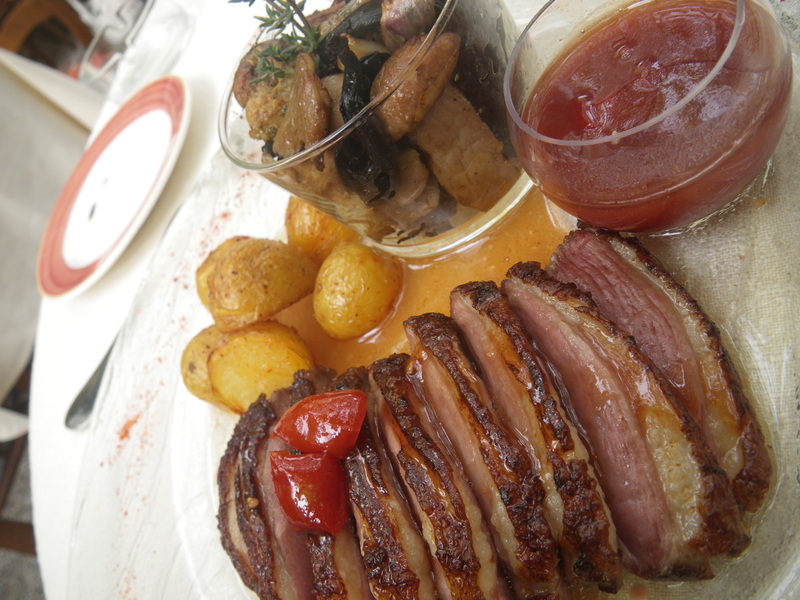 Duck in Fig sauce – Looks yummy right? Don’t be deceived. It was only so-so. The sauce was really good. 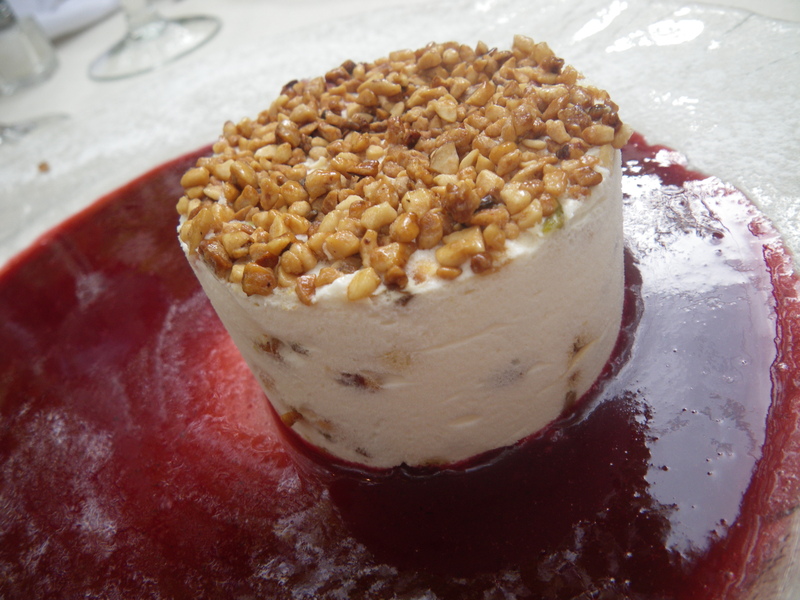 Pistachio mouse with raspberry sauce. Pure delightful. 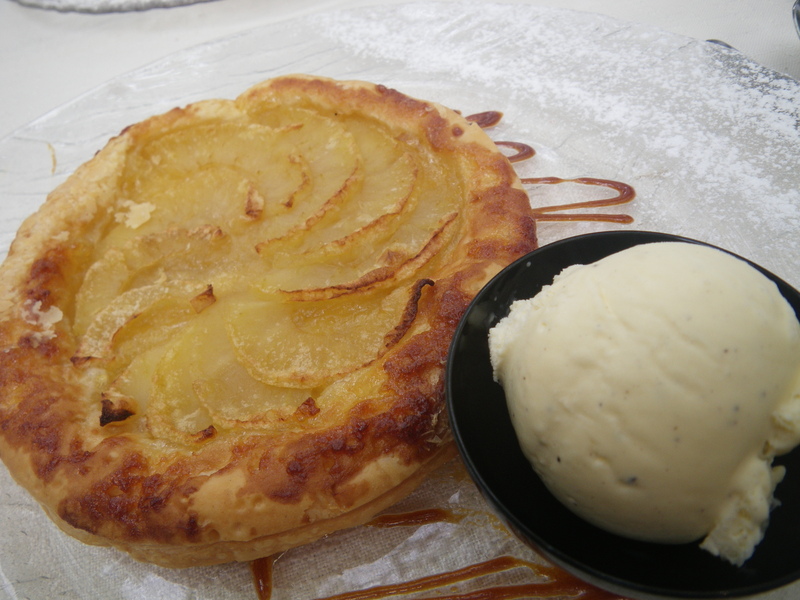 Apple Tart with vanilla ice – Yummm yumm… Tart was crispy around the edge. Vanilla ice – so good !! After the meal, we were serve with complimentary shot of lemoncello each (Italian lemon liqueur – type of digestive). The waitress saw that we were so excited about our lemoncello that she gave us another 2 more rounds of that. I was feeling a little tipsy when we walk out the restaurant. hahahaa… sigh…It was an amazing lunch. 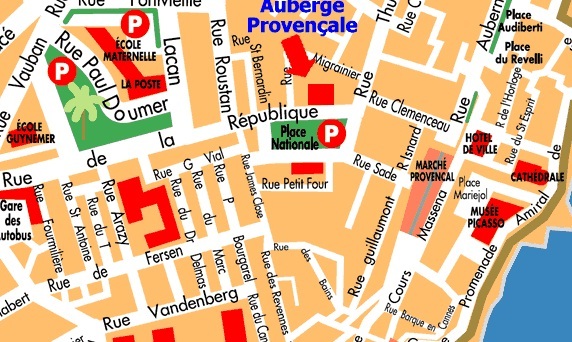 For those of you trying to locate this place, it is along the Rue de la Republique, facing the Place Nationale (which is sort of like a coutryard / carpark). On Sunday, this place is crowded with little marque selling arts and antiques. quite interesting to browse around after the heavy meal. We went here 25 years or so ago and stayed above the restaurant . Our room looked down over the canopy and grape vines. There was no way we wouldn’t have eaten there after smelling all the fantastic aromas that rose up and filled the air every night. I don’t know if I would go back as I sometimes memories are best left that way. I ate two of the best, most romantic, beautiful meals of my life at this restaurant. It was expensive then but I wouldn’t have missed it for the world! Wow – I am suprise the restaurant stays the same even after 25 years. that’s cool.